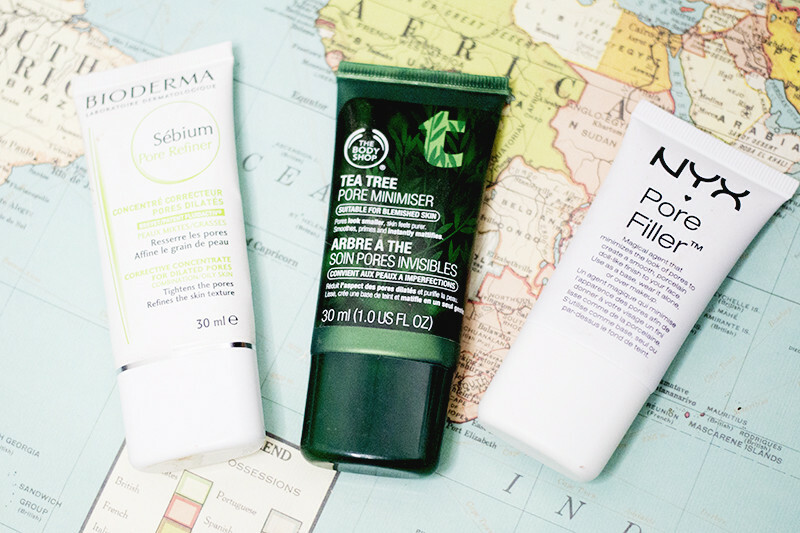 The Bioderma Sebium Pore refiner is my personal favourite of the bunch. It's sebum reducing, smoothing and works a treat for oily/combo skin. Bioderma products are often non comedogenic and hypoallergenic so it's not going to break you out if you have troublesome skin types. It's also silicone free. The Body Shop Tea Tree pore Minimiser is aimed at more blemished skin as a primer and skin care two in one. Perfect for oilier skin types as it really mattifies the skin and blurs out imperfections. The NYX Pore Filler is another reasonably priced primer. It smooths out large pores and stops makeup from sliding off during the day. It reminds me a little of the Benefit Porefessional in terms of finish, it's quite heavy on the silicone.